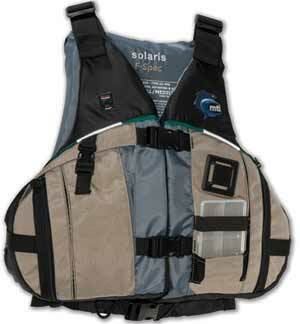 Mesh high back comfort life jacket with F SPEC outfitting. Drop down fishing bridge platform for handy workspace or beverage rest. Pin-on retractor holder, lash tabs and D-rings. Multiple low profile gear storage pockets and exterior elastic tackle box holder keeps your fishing gear close at hand, not overboard!